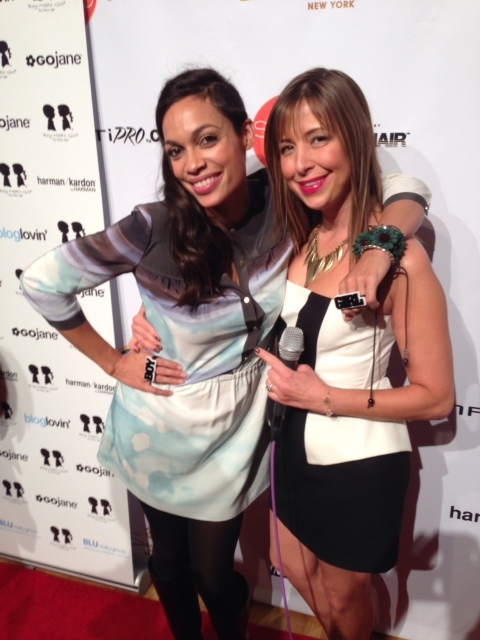 I had so much fun as the host of the Harman/Kardon Studio at Conair STYLE360 during New York Fashion Week last month. And now the videos are live! First up, talking style trends and headphones with Rosario Dawson, Teresa Giudice and singer Leah Labelle at Boy Meets Girl by Stacy Igel.